Torco MTF Manual Transmission Fluid UNIVERSAL - Pann Auto Performance - San Diego largest aftermarket automotive performance parts - What do you drive? 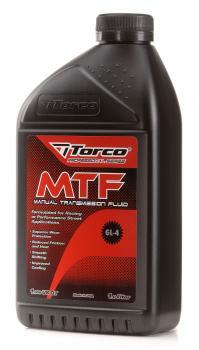 Torco MTF Manual Transmission Fluid is a special light viscosity, low friction oil with superior load carrying and wear protection properties. It is formulated using the highest quality petroleum base stocks and unique additive systems that focus on thermal stability, shear stability and shock load protection. 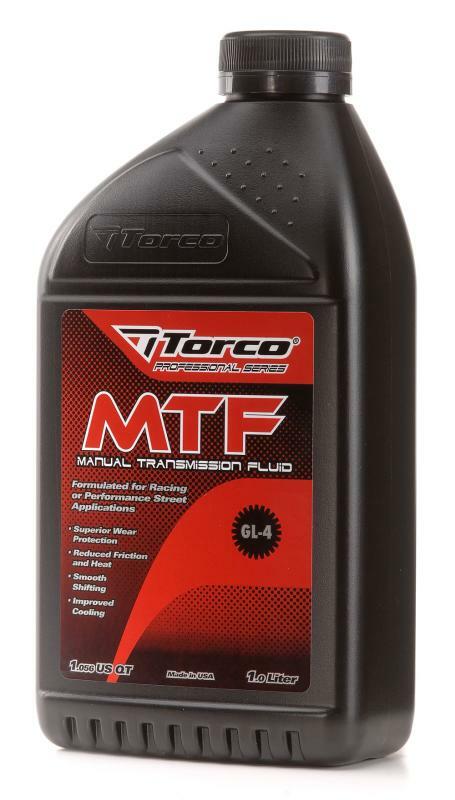 Torco MTF Manual Transmission Fluid is treated with anti-oxidation, anti-corrosion and anti-foam to reduce fluid degradation and increase life of all drive components. MTF is specifically recommended by Mercury Marine® for use in the MC Six Dry Sump Outdrives. Improves power efficiency and rust protection for outdrive units.